We all love our daily bread. There is nothing like a fresh loaf, warm from the oven. It all starts with a little grassy plant called wheat: Slowly, with a lot of loving help, growing, ripening and making its way to the silos, millers, bakeries and eventually as bread to the shops. Farmers are business people. Information about the various agricultural production areas in South Africa and the wide range of products produced there. It also gives a broad overview of what farming entails. Creating awareness of the wide range of products that are derived from agriculture. 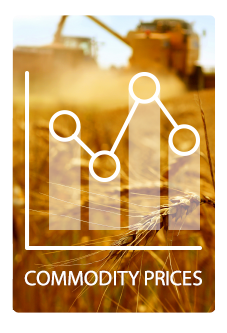 Various economical concepts applicable to agriculture are explained. Information about the various career opportunities in the agricultural value chain. You can match your skills to a job where you produce, manage, market or sell. You can also do research and development or engineering, administration or get involved in the agricultural media or machinery. The choice is yours. More in-depth information on various types of careers that originate in or are associated with agriculture.